So much yarn, so little time. 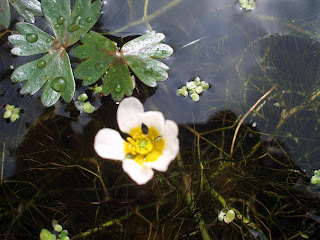 : Blooming marvelous! It's bluebell time in the woodlands of Kent, south east England. They've just started to come to bloom, a few days and they'll be past their best. Right now though, they're in their glory, blue carpets everywhere. 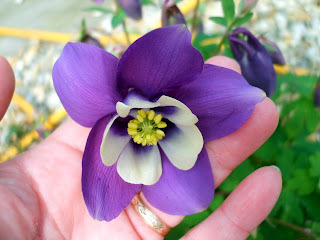 and the very first of the aquilegias is out - isn't it stunning? Their folk-name is Granny's bonnet, you can see why. 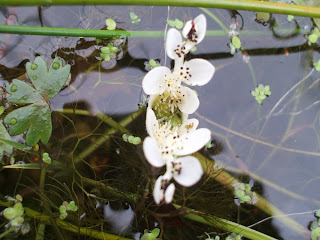 You are so lucky to have flowers blooming!! We will have to wait 3-4 weeks yet I'm sure. Supposed to be +9 today - not quite warm enough for flowers. 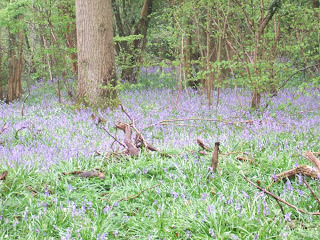 Love the bluebell forest shots, I can see faeries frolicking amongst the blooms! The blooms are out today! Lovely pics. So pretty! I wish we had flowers everywhere. Beautiful flowers! 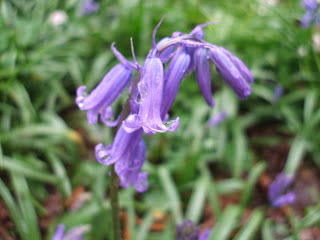 I have bluebells all through my garden (they seem to go where ever they want) but nothing like you have in your picture! enjoy! What a stunning photo and a lovely place to visit. I love bluebells. They are beautiful the blueballs, love their color and shape.